Liz was born in 1949 in Mid-Somerset Norton, which was a small country town. She played outside in the cul-de-sac where she lived. Cars were not an issue, there was traffic but not much. Boys and girls all played together, also different age groups. There was a 3/4 year difference between them and Liz was the youngest. One of the games they played was ‘colours’. Each person would choose a colour; if your colour was called you had to catch the ball then throw it at another ‘colour’. They only played this in the street, not at school. She didn’t play with school friends out of school because they lived too far away. She played on her own a lot, did a lot of reading. School was 20/25 minute walk away. Her parents were fairly protective and didn’t like her to be too far from home, possible because she was the only girl in the family, but she did go further if her brother was with her. When she went to Grammar School it was a longer walk so she still didn’t play with school, friends. Gerry was born in St Andrews, Fife in 1945. This is a coastal town. He doesn’t recall any strong friendships from that time. He spent a lot of time at the beach. 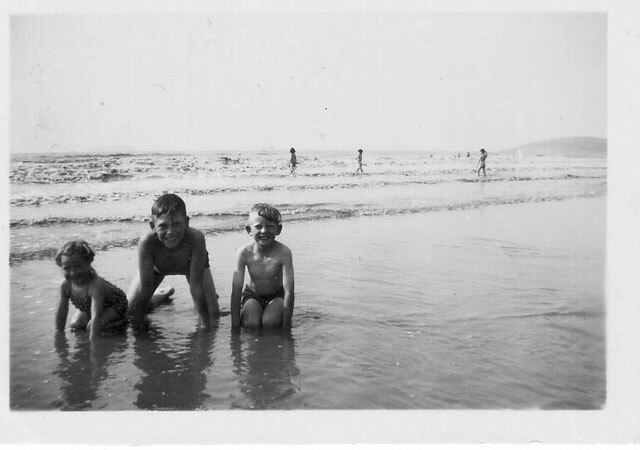 There was a swimming pool on the coast which filled with the tide and his father taught him to swim there by throwing him in. They moved to Aberdeen, which was where most of his childhood memories were. He was about 8/9 years old. He remembers the great storm of 1953 when he would sit by the window and watch trees falling down. That was when they went, for about 9 weeks in the summer, to a place in Inveraray and it was the first time he’d been in the country. His Mum would open the back door, out he’d run and come back when he was hungry and thirsty. In Aberdeen he played in the street, playing football, getting into mischief, and going to the indoor swimming pool. There was a lot more to do and it was good. He has strong happy memories of Aberdeen. He took the tram to school. He doesn’t remember his mum ever taking him to school. In St Andrews everyone knew everybody so even at a younger age children just went off to school on their own. Most of the street games were made up as they went along. 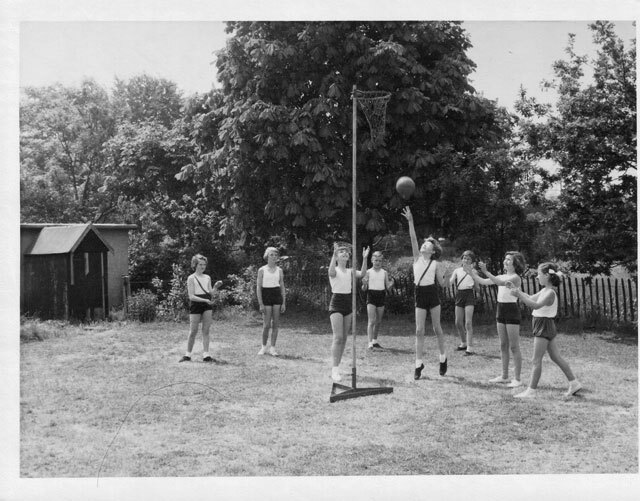 Football was played with a tennis ball: some boys had bikes and some didn’t. They played cricket against the wall with no wicket only chalk. Whether you were out or not was a consensus of opinion. I did have a football at one stage. Even during winter he would get dressed and go out to play. We did have the luxury of long socks. Snowball fights were fun. When they went in the kitchen always seemed warm. They would seek out the fire. His friends were always welcome in the house. Liz’s friends were not encouraged to come in the house and play. 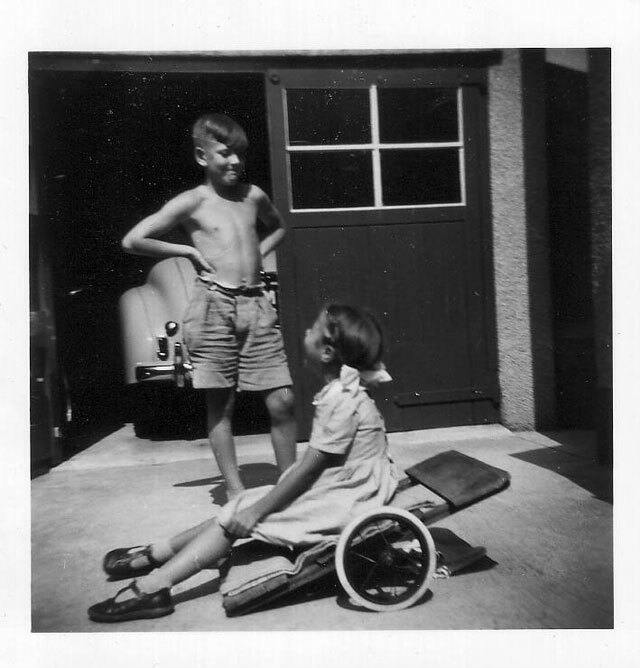 In bad weather she would play games with her brother like Ludo, Draughts, Snakes and ladders lotto or Tiddley Winks. She read a lot but also had a dolls pram and dolls. She remembers that if they got too noisy when playing indoors her mother would tell them to “play something else “. They had a TV but there wasn’t much on in the day …programmes mostly started about 6. But she does remember Andy Pandy…that was on for about 15 minutes. Her uncle was a wireless engineer whose business was recharging the batteries for radio and she believes that was the reason they had a TV. The Coronation was in 1953 and immediate neighbours came in to watch. She does remember occasional snow when she would make a slide by heaping up the snow and spreading it until it was glassy. Liz used to visit the library with her but her school had a library. She used to get a lot of new books from a family friend in the publishing business. Gerry had the Encyclopaedia Britannica and used to read these. Gerry was about 11/12 when he lived in Edinburgh. He recalls it as a wonderful place to grow up and has huge memories of it. They had a park across the street where he played tennis, football and raced bikes. School was a 5 mile cycle ride away over cobbles. They all just turned up at the park , no arrangements had to be made. Liz’s only organised leisure was Sunday School. Her parents were Methodists, so it was church in the morning and Sunday School after lunch. Also evening church on special occasions. She remembers seasons of games..conkers in the Autumn, marbles in the spring. Playing marbles you needed a large marble and some small ones. To play you roll the large marble then try to hit it by rolling the small ones. If you hit you can claim the marble. They also swapped them. Gerry liked the steel ball bearings and had a collection of them. He remembers a game where you needed to make a small cup, then try to get a marble into it by tossing, and flicking it with another marble. Gerry was a Cub and enjoyed it but got bored with Scouts. He left scouts and joined Sea Cadets, which he had first joined in Aberdeen. There were more interesting things to do and there were rules of discipline, timekeeping and pride. In winter they met once a week, summer more often. On a Sunday they could go down to Leith docks and do lots of work on boats. Cubs was just fun with lots of running about and playing games, one of which was British Bulldog. This started off with a line of boys and a person opposite who was tagging the others by a pat on the hand or a little thump on the shoulder. The older you got the more violent it got, with boys being sometimes lifted off their feet. In Sea Cadets there was instruction in navigation and they marched….it was like a mini navy. At Liz’s school teams would be picked by chanting “dip dip dip my little ship”. They played off ground touch, similar to ordinary touch but if you were off the ground you were safe. This was at junior school. At senior school she doesn’t remember playing games, just standing around. In the street at home. They did a lot of skipping. She also remembers knitting. There were no organised clubs. She thinks that was because it was a small town, and there were no volunteers to run them. Gerry was at a mixed school until the age of 11. After that he went to a boys only school. In Edinburgh the schools chose to do rugby or football and his chose rugby. 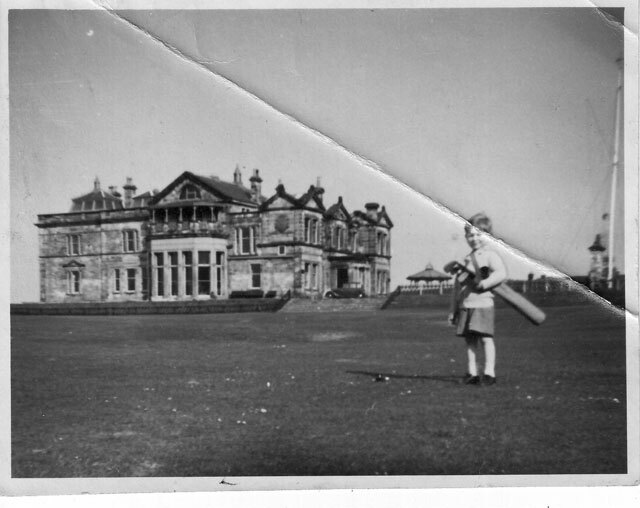 When he was in Aberdeen his school was run by nuns, and they organised separate games for boys and girls, apart from rounders which was mixed. In Edinburgh Gerry was confined to school grounds in break times. His Mum did him a lunch box and the boys sat around and chatted. He wasn’t happy at school. Liz was at a mixed Grammar school. In the 6th form she did a lot of homework. Liz was also not allowed to leave school in the day. She used to walk around the perimeter fence and chat. She wasn’t in any of the sports teams. She didn’t dislike school. Still on Sunday she was expected to go to the Young Peoples Fellowship, which she did until she was 18. They did have a cinema. Gerry wasn’t keen on homework and did a bare minimum. He loved science, geography and music and was in school musicals . He would get home from school about 5.20, sometimes taking a detour to the library or the ice rink: not to skate but just to meet up with mates. Liz did GCE O levels and A levels. Her brother went to secondary modern and he did GCE but left at 15. Some people who went to secondary modern could go on to do A levels at the Grammar school. Liz didn’t go to Saturday morning pictures….her parents frowned on them. 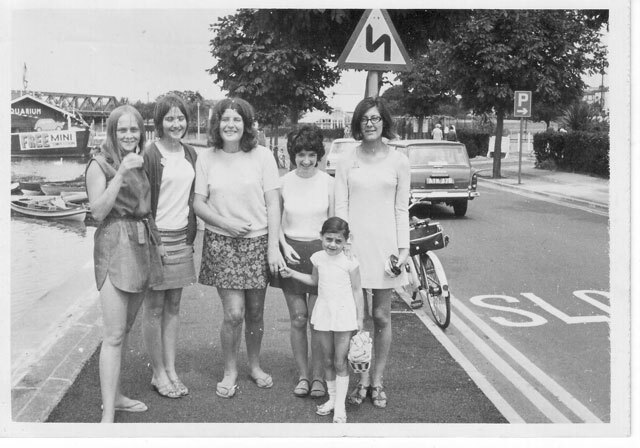 Gerry loved the Saturday morning pictures: it was noisy, rowdy and chaotic. Cinema staff tried to keep some order. It was great fun and he loved Cisco Kid, Charlie Chaplin and Buster Keaton. In Aberdeen they had competitions when you could go up on stage. In Edinburgh he played rugby on Saturday morning, followed by ice skating in the afternoon at Murrayfield and speedway in the evening at Meadow-bank. After speedway they had fish and chips and a shandy. He left home early and was out for the whole day. He used the bus to get to these places and paid for them with his paper round money. He stopped getting pocket money when he started the paper round. He got the best money for the Sunday round, and he still did this round when he started work. He ended up doing all the Sunday rounds for £5 and all the Christmas tips. He started at 6 am and finished about 10.45. Edinburgh was full of 5 storey tenements, so he was very fit, as he says ‘like a racing split pin’. The rugby matches were against different schools and could be 6 or 7 miles away and he was expected to get himself there. Liz thinks that more responsibility was put on teenagers to organise themselves. Gerry’s mum didn’t drive so you just got on with it and did get to where you were supposed to be. He fancied ice skating so went there and found a couple of boys from school who showed what to do. Same with speedway, went with a friend and is still interested in it. You were just expected to do things off your own back. Liz remembers an argument with her mother when she was about 13 or 14. She wanted to stop wearing ankle socks and wear stockings instead. Her mum didn’t agree. She remarked ‘she’s a teenager, we’ve got to put up with her moods’. Occasionally she did meet friends but there was no milk bar or meeting place. The Church offered some social life. The youth club was under the aegis of the church, but free and easy. They played netball and bar billiards. She was at the youth club the night she heard that President Kennedy had been shot. Groups of teenagers did hang around, not making any trouble. But that was discouraged by my family. Gerry remembers there was always something to do in Edinburgh. He went to the cafés and milk bars and kept his ear to the ground to find out what was going on. The milk-bars run by Italians would have booths and a coffee machine. Others were in bright colours with stools up at the counter, a copy of what you’d see in the movies. He remembers one place called the Hungry Eye (or I). There would be lots of vinyl, Formica and a jukebox. Liz watched Juke box Jury on TV but that was all. Liz and Gerry didn’t get into trouble, but Gerry used to fib to his Mum, usually as to why he was late home. He remembers one occasion when he was somewhere he shouldn’t have been, the local ‘bobby’ saw him and told him he was going to tell his Mum. When Gerry got home he saw the bobby talking to his Mum, but he didn’t tell and intended the threat to be a lesson. Gerry left school at 15. His Mum said he could leave but he had to get a job. He left school on Thursday and started work on Monday. This meant he didn’t play rugby on Saturday morning because he worked every other Saturday. I was the junior. It was a 5 day week. I went to the cinema more often, because I had more money. I wore a suit to work, so dressed casually for the cinema, just a jumper and trousers. He went dancing, to clubs, and also for a drink in the pub after work on Friday, even though he was only 15. Liz stayed at school until 18 and did A levels. She went on to teachers training college in Weymouth, which was a big change in her life, as she had more freedom. She felt homesick at first. This was 1967. The first time she’d been in a pub was in Weymouth. The Weymouth milk bar was Fortes and we got told off in there for laughing too loudly. They were told on arrival at college that the pub they must not go in was The Black Dog. In her last year, the college had a coffee bar. The students would meet in each other’s room. There was a pub on every corner in Weymouth and she could buy a half of shandy for 10 old pennies. The college used to put a list on the notice board for girls who would like to attend a social at the Portland Naval base. The ships had been at sea for several weeks and the sailors wanted a bit of female company . They would arrange transport there and back. Food and alcohol were provided on board and they would mostly chat. She did go on a date from one of these socials, but only once. Sometimes, she would go into town in a group. The college used to organise socials in a hotel. She remembers the Pier Bandstand being a posh restaurant and Gerry remembers summer shows there, and also a Miss Weymouth beauty competition. The Vicky Bars was another venue and the Steering Wheel club, which was open until about 1 am. The Harbour Club was another place to go. Liz had to back in college by 10 pm on weekdays and 11 pm at weekends. Flower power wasn’t a big thing in Weymouth. There were a few hippies at the college, but they were the exception. It was a pretty staid college and Liz wasn’t really aware of flower power. Gerry recalls Weymouth as being an odd place but not a wild place. There wasn’t a lot of aggro probably. EcUse of the presence of the Naval Patrol. The HQ of the patrol was in town near the Guildhall. There was no curfew but you had to dressed and ready for work at the correct time. The Navy didn’t have enough accommodation on Portland so you were paid to find your own. 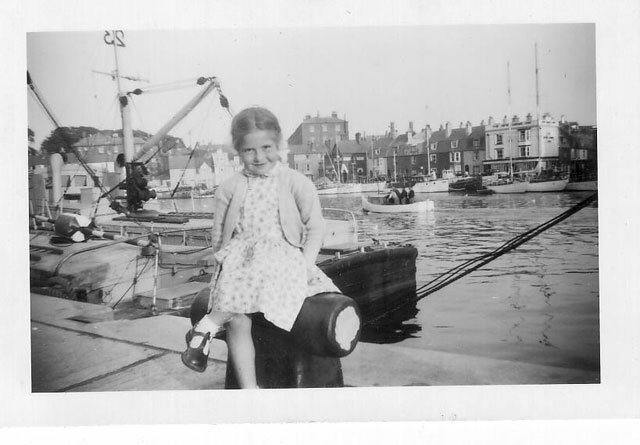 So Gerry lived in Weymouth and had a lot of fun. Drugs were not a big problem, because the Navy had zero tolerance for drugs. Gerry was never offered drugs. He went to theKings Arms, Park Hotel, but also to any pub that had something on, or which had the cheapest beer. Saturday night the Vicky Bar was the place to go because the had live music. Gerry and Liz both went there. Liz had a college grant so she was limited by finance to how many times she went out. They both listened to Top of the Pops on a Friday and it was the start of the weekend. The Rolling Stones came to weymouth and some people queued all night for tickets, but they didn’t go. The Terracotta was another good place, also the Sydney hall. Gerry feels it was the demise of Weymouth football Club when the Terracotta club was sold by the football Club. Weymouth FCC was one of the richest clubs on the south coast. It owned property, but sold it and moved to a new site. When Gerry and Liz married, they both worked full time and were not short of money. They probably went to the pub more. At weekends, depending on which shift Gerry was on, they would go for a meal, or to a party or a mess function. The Sea Cow was a restaurant they went to. These were times when pubs didn’t serve meals. Food available in pubs were pies or pickled eggs. Microwave ovens were very new. They once had a meal in Gosport, which appeared 5 minutes after they’d ordered and they realised it was a microwave meal. They mainly ate at home. Going out for a meal was an occasion often with other couples. Sometimes they would cook at home and friends would join them. 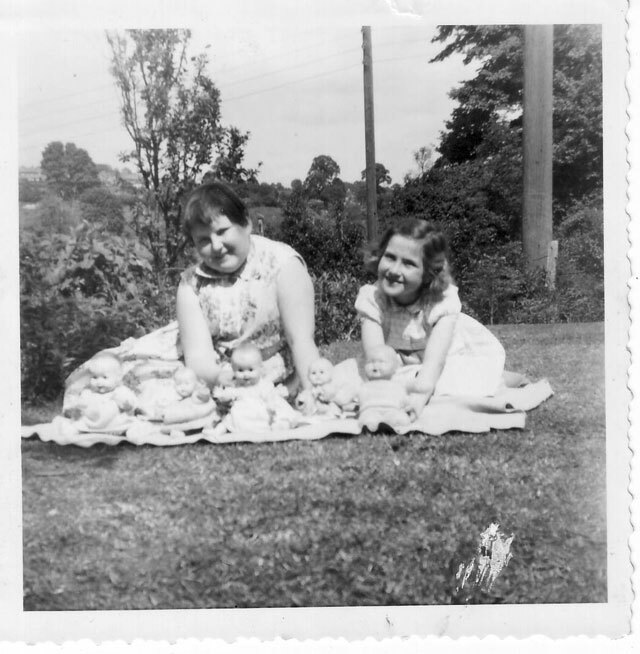 They would still dance, usually at functions in the mess, their social life was centred around the mess. Gerry was still active in sports and played rugby for the Navy. He also played badminton and squash. He started playing golf in the 1970’s and from 1980 onwards played a lot. Gerry and Liz still went to speedway but stopped after the club moved to Poole. But Gerry is still interested and looks for at results. They even went to speedway on their honeymoon.